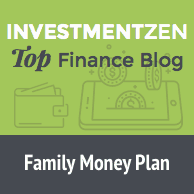 Family Money Plan has been featured in many prominent personal finance sites. If you are looking for someone to help out with an article I’m happy to help. I can provide varying points of view as a parent and who has both been in debt and overcome it. As someone who has gone through the challenges of paying off a huge amount of debt ($320,000 in 6 years) I can offers a view point of someone who has gone through the trials and accomplished it, as well as understanding the pains of someone who is just getting started on their debt free journey. If you are looking for opportunities for sponsored posts you can check out my rate sheet here. Credit Karma | What is a mobile wallet and should you use one? If you would like to get in touch with me as to how I can help you with your site’s content I would love to have that conversation. Please use the contact box below.